Running tour schedule doesn’t fit your schedule? You’d prefer to see another one of the many great spots in St. Louis? Personalized tours of varying lengths can be scheduled for your convenience. Private tours downtown or to great spots such as Forest Park, Grand Center Theater District, Grant’s Trail, Jefferson Barracks or sunset runs in Creve Coeur Park can be arranged on the weekend or during the week to suit your own schedule and interests. 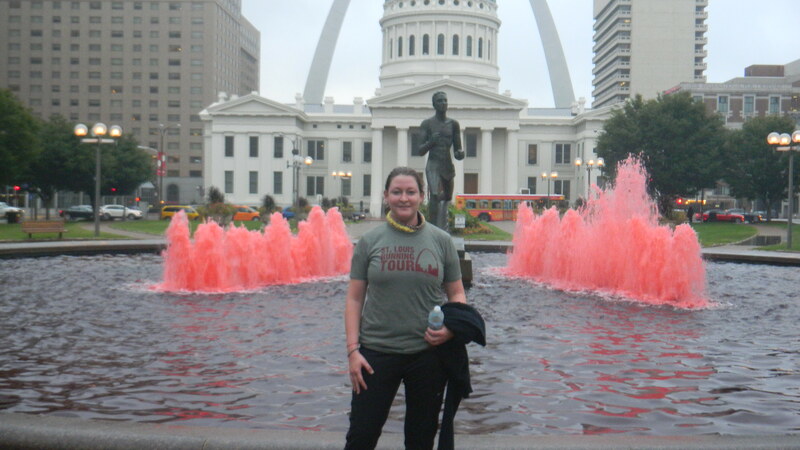 Fees for private tours also include the official St. Louis Running Tour shirt & post-run drink, and group pictures. Contact St. Louis Running Tour today to arrange your personal tour through St. Louis. Fees are non-refundable unless tour is cancelled by St. Louis Running Tour.